You must have seen them? Scrolling across on Instagram. The pink or green facial ‘’implements either artfully displayed or being used by someone rolling it across her face. I certainly have and my first reaction was what the heck is that. Then of course I had to find out what it was and why they were being used. If you haven’t guessed by my rambling description, I am talking about face rollers. 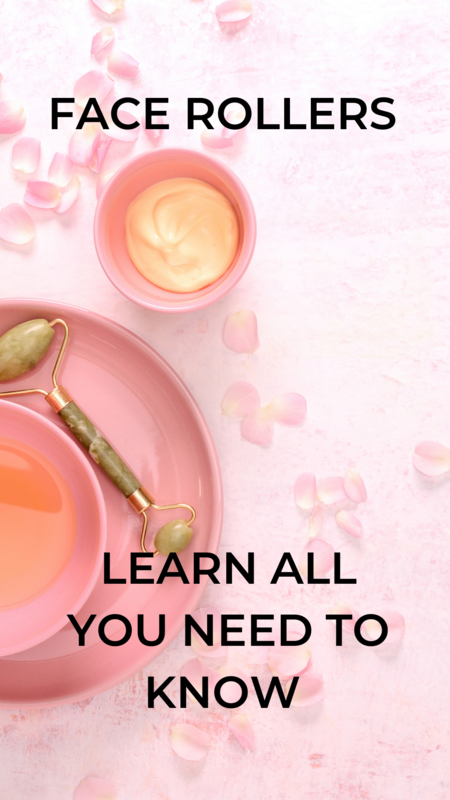 They are another introduction to the global skincare community courtesy of explosion in popularity of Korean skincare and on my list of skincare tools try this year. On this blog post I will discuss their benefits, the types of rollers available the benefits and how best to use them for maximum results. 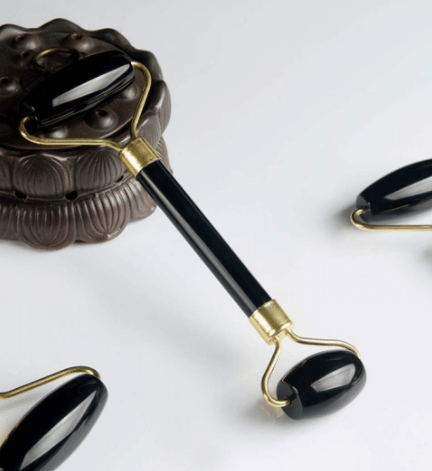 Facial rollers are miniature paint like rollers for the skin and are usually made from crystals and stone. Rollers have been used for beauty treatments since the 17th century. Although each stone provides the same benefits, the different stones are supposed to provide additional metaphysical benefits. 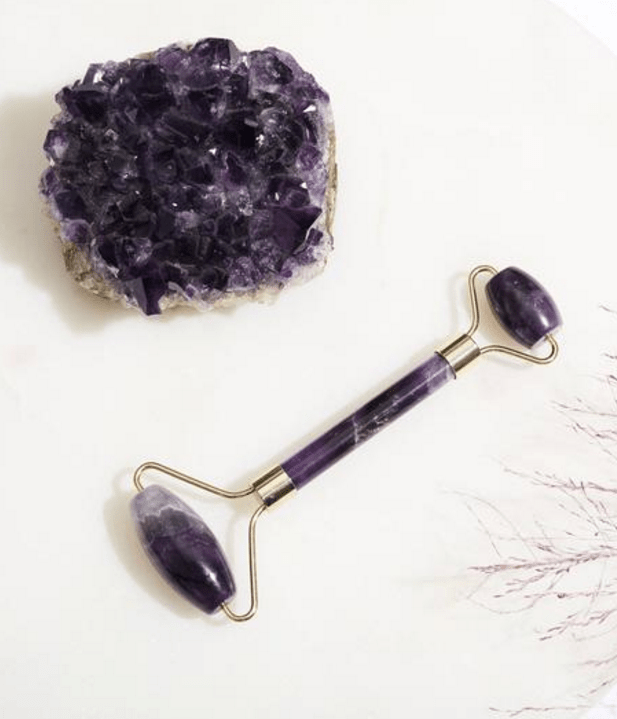 The different types of materials used for face rollers include Jade, Rose Quartz, Amethyst, Obsidian and stone. They type of roller you choose should be dependent on your skin type , the same way you choose products . Since each type of crystal provides unique different benefits. They enhance blood circulation which aid in absorption of your skin care products. Face Rollers reduce facial puffiness particularly under the eye caused by congested lymphatic channels. Improve appearance skin by reducing the wrinkles and improves the skin’s elasticity, giving your complexion a luminous glow. Jade is known as the stone of beauty and youth in Traditional Chinese medicine. Jade also remains cool to the touch so calms irritation, inflammation and facilitating lymphatic drainage thus reducing blemishes. Because Jade is a harder stone it provides more resistance , so is best used for toning, contouring and lifting the face. This rolling motion helps increase the formation of collagen and elastin in your skin reducing fine lines. Rose Quartz is known as the ‘love stone,’ and is believed to reduce tension and negative emotions. This is best if you have sensitive or reactive skin. Rose Quartz is reputed to be able to reduce inflammation in the skin, so works best for inflammatory skin conditions such as rosacea. Amethyst is a rarer find than Jade or Rose Quartz and has the reputation of being able to purify the skin. Like Rose Quartz it also soothes inflammation, tightens pores and boosts blood flow to the skin facilitating skin healing. This deep black stone has detoxifying properties which allows it release tension and toxicity. It works by drawing out impurities, which can help decongest pores and combat breakouts. Black obsidian also minimizes pores, prevents breakouts and reduces inflammation such as psoriasis, and eczema. Beauty experts recommend keeping your face roller in the fridge to reap the maximum skin tightening benefits. 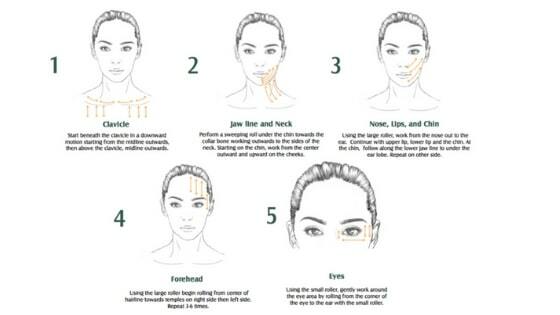 You can use your face roller in two ways in a downward movement to stimulate lymphatic drainage or in an upward movement which contours and tones the face muscles. Once used , gently wipe it clean your face roller with a soft cloth and slightly warm water then dry with another soft cloth. Do not immerse scrub the stone or immerse it in soapy water otherwise it may lead to damage. 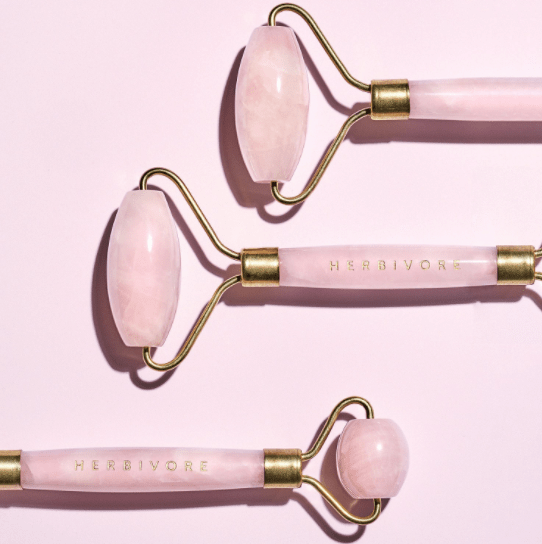 which face roller is best for you? It depends. If you believe in the metaphysical properties of crystals then you need to choose which stone will work best for your needs. 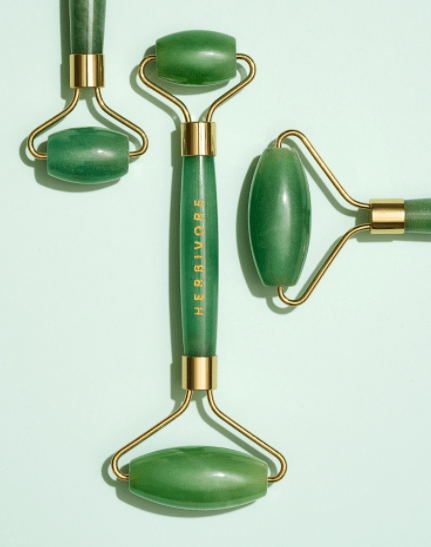 For facial puffiness and if you need to contour your face then a Jade roller is the best for you. If you have blemishes and inflammation, then Rose Quartz may be the best for you. Otherwise, choose the stone you are drawn to and what looks good to yo. Have you used a roller in the past ? Did you get any of the benefits ? or is it just good marketing ? Let me know in the comments below and let me know your favorite brand .